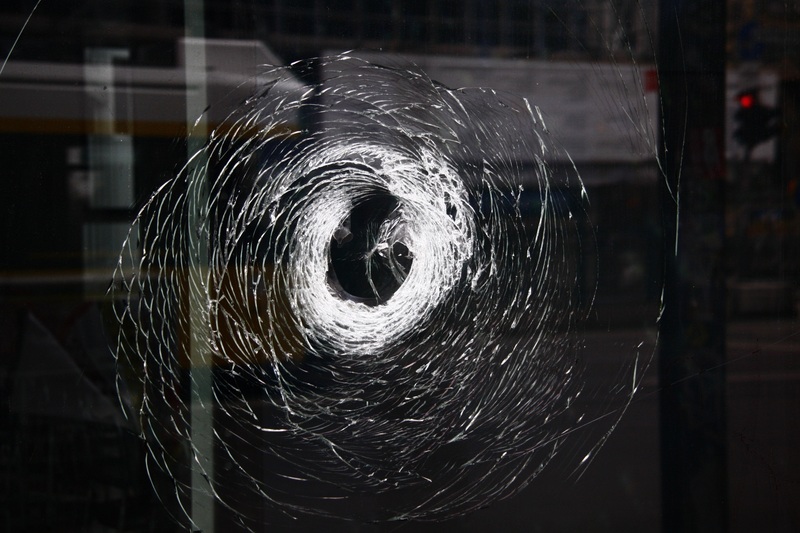 To the naked eye, ballistic glass (bulletproof glass) may just look like any ordinary pane of glass. However the security and protection that this type of glass offers is far from ordinary. Ballistic glass is specifically designed to offer a strong level of resistance against impact from firearm bullets where ordinary glass panes would immediately shatter. It comes in a variety of strengths; each tested to rigorous standards and designed to withstand different calibres of weaponry. How is ballistic glass made? Different ballistic glass manufacturers will have their own variations and processes for manufacturing this type of glass. However, our manufacturing process combines and bonds layers of glass with specially developed inter-layers during the lamination process. Glass layers can be replaced with polycarbonate layers, resulting in a less bulky ballistic glass solution that still meets the required level of protection if required. Ballistic glass is typically between 14 to 83 millimetres in thickness, depending on your requirements. How does the glass withstand the impact of the bullets? The Ballistic Glass products manufactured by Diamond Glass can effectively absorb the incredible energy of the bullet by dispersing it through the many layers of material in the panel. A bullet fired at a sheet of bullet-resistant glass will likely pierce the outside layer of the glass. However the layered polycarbonate-glass material is able to absorb the bullet’s energy and stop it before it exits the final layer. By containing the projectile bullet, ballistic glass can prevent injury to the victims of any attack. How is ballistic glass tested? Tested to withstand up to 3 shots of FJ1/CB/SC ammunition from a .357 Magnum hand gun at a test range of 5 metres. Tested to withstand up to 3 shots of FJ2/FN/SC ammunition from a .44 Rem Magnum hand gun at a test range of 5 metres. Tested to withstand up to 3 shots of FJ2/PB/SCP 1 ammunition from a 5.56×45 rifle at a test range of 10 metres. Tested to withstand up to 3 shots of FJ1/PB/SC ammunition from a 7.62×51 rifle at a test range of 10 metres. Tested to withstand up to 3 shots of FJ2/PB/HC1 ammunition from a 7.62×51 rifle at a test range of 10 metres. Tested to withstand 1 shot of solid slug 3 ammunition from a 12/70 shot gun at a test range of 10 metres. Tested to withstand up to 3 shots of solid slug 3 ammunition from a 12/70 shot gun at a test range of 10 metres. Where is ballistic glass used? Ballistic glass is frequently used in commercial and government building where security is of key concern e.g. banks, cash-based businesses, police stations, army barracks and government ministries. Diamond Glass has supplied ballistic glass to clients such as Allied Irish Bank, Police Service of Northern Ireland, Scottish Parliament, Ministry of Defence in the U.K. as well the residential homes and commercial offices of high net worth private clients. Require ballistic glass for an upcoming project? Diamond Glass are a leading ballistic glass U.K. manufacturer. For more information on Diamond Glass ballistic glass solutions, please download our Technical Data Sheet or contact our expert technical sales team.